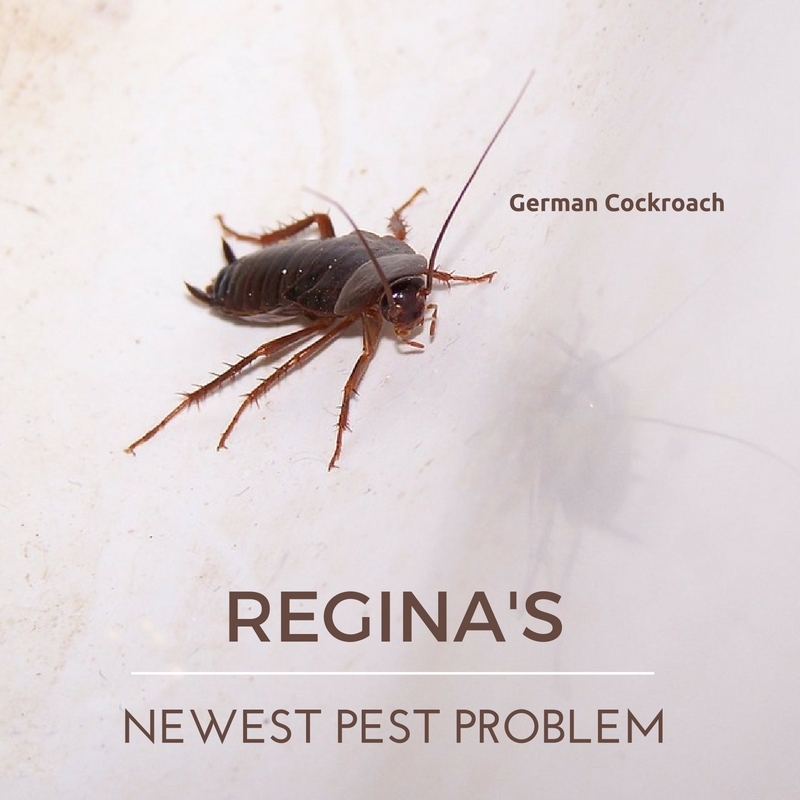 Here in Regina, German Cockroaches are becoming widely well known for all the wrong reasons. They are an urban pest that commonly invade homes, apartments, restaurants, hotels and other buildings. German Cockroaches are one of many species of roaches and are the most common we see Canada. German cockroaches are long, flat and wide with two long antennae and six legs. They are light brown to tan in colour and have two dark lines on their back. German cockroaches are unable to fly and adults can be anywhere from 13 to 16 mm in length. German Cockroaches are omnivorous and prefer sugary foods, grease, starch and meat. In overly infected buildings, German Cockroaches will resort to eating glue, and packaging or one another. Cockroaches can survive an entire month without food and approximately 2 weeks without water. 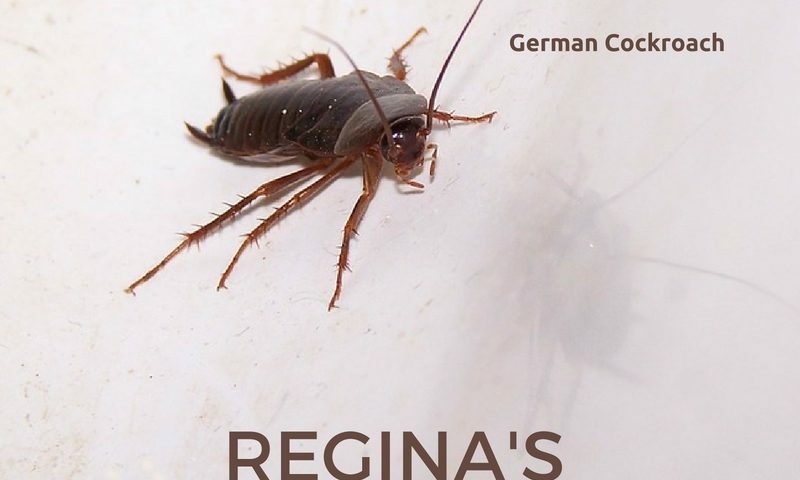 German Cockroaches reach adulthood faster than any other species of cockroach in Canada. This quick development enables them to populate indoor areas quickly, causing infestation to occur easily. A German Cockroach has a 10-week life span and lives for approximately 5 to 7 months after reaching adulthood. Adult females produce 7 or 8 egg cases in her life and produces an average 350 offspring during her lifespan. It is highly unlikely that cockroaches move from one building to another on their own but they can and do spread via shipments and packaging to nearly anywhere in the world. German Cockroaches can cause great amounts of damage to you and your home. They transfer pathogenic organisms to humans through contamination of food with their feces and defensive secretions. The diseases they carry can cause diarrhea, dysentery, typhoid fever and cholera. Frequent or prolonged exposure to cockroaches can cause mild to severe allergic reactions including dermatitis, itching, swelling and respiratory conditions. If German Cockroaches bite it is during your sleep. Cockroaches feed off food particles left on the face and skin of humans. Babies and children with sensitive skin are increasingly attractive to cockroaches because of the smell of milk. There is no information to suggest German Cockroaches are able to transfer pathogens by biting. Cockroach bites appear as small red spots that eventually scab over and can cause secondary infections. Be mindful of the fact we have seen a dramatic increase in the presence of German Cockroaches here in Regina and the surrounding area. Keep an eye out for cockroaches in your home, office, restaurant or storage space. Premier Pest Management is one call away to solve your German Cockroach battle efficiently!